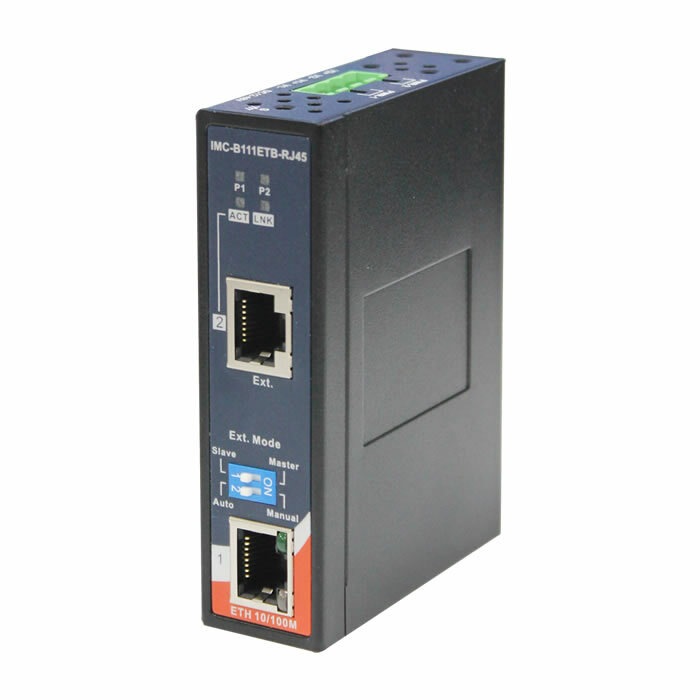 The IMC-B111ETB-RJ45 is the cost-effective solution for extending an Ethernet connection beyond its inherent distance limitation. The IMC-B111ETB-RJ45 can extend distances to 300 meters using a UTP cable or 200meters using a 24AWG cable. 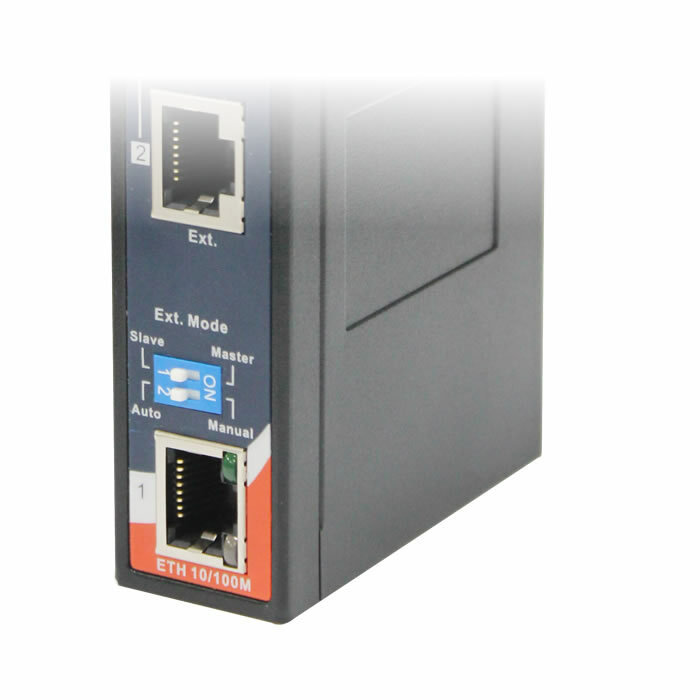 The IMC-B111ETB-RJ45 also boasts 2/4/8-wired auto detecting transmission. The IMC-B111ETB-RJ45 features a wide operating temperature range from -40 to 75 C, making it suitable for any harsh operating environment. Ethernet Extender Indicator Green LED for Link indicator. Amber LED for Ack indicator. Input power Dual 12 ~ 48VDC power inputs.